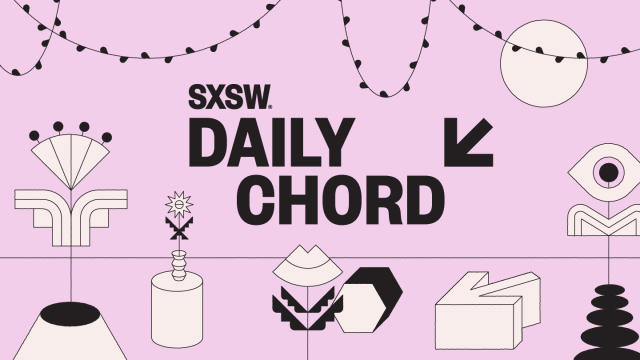 Welcome to the Daily Chord®, a collection of pertinent stories from the worlds of music posted each weekday. Subscribe to the email blast and enhance your inbox. Browse our daily archive of stories below. The SXSW Music Festival (March 11-17) invites artists, industry professionals, and fans from all over the world to Austin, Texas for a week every March to attend performances by iconic artists, make professional connections, elevate their musical careers, and discover the next wave of musical talent. Explore the SXSW Music Festival and register to attend! Have songwriters turned the tide against big tech? How did the ‘industry plant’ take root? What happened to the music visualizer? New initiative aims to develop an improved music industry in N.O. Is Liberty Media about to become the most powerful company in music? 20 years ago, with ’14:59,’ Sugar Ray’s career didn’t end. Yet. Animal Collective’s ‘Merriweather Post Pavilion’ was radical enough to redefine indie music. Why didn’t it? Tribute bands: Are they legal? Corporate swag-jacking: How can Fortnite profit off BlocBoy JB’s ‘Shoot’ dance? Is Spotify Negotiating To Invest In Universal Music? The mythical power of streaming playlists: is it more hype than substance? Poptimism: As pop music dominates boxoffice charts, is it time for a critical re-evaluation? Tencent Music uses ‘tipping’ to rack up revenues. Why aren’t Western music streaming platforms doing the same? Hurricane Florence shuts down concerts in southeast U.S.
How ‘brite’ a future is there in Eventbrite’s IPO? Michael Jackson’s brand is stronger than ever, but what about his image? Hipster kryptonite: Will CDs ever have a resurgence? Some music festivals balk at booking 50% female acts. One just did it. Could the Seattle process save the Showbox? Is Instagram about to become the music industry’s new best friend? Are you ready for a new generation of Menudo? The Recording Academy seeks a new leader, but for what, exactly? Can was 40 years ahead of its time. A new book helps us catch up. His rap song and profile photo caused a school lockdown. Now he faces years in prison for it. Songwriters got screwed by the Spotify equity bonanza. The industry has to ask itself questions. Net neutrality is really, officially dead, now what? What next for influencer marketing in the music world? Do the saddest songs win Eurovision? The greatest Scottish indie bands – ranked! Who gets what in the iHeartMedia bankruptcy reorg? Who is Shane McAnally and why is he so mad at ASCAP? Why don’t streaming services know who wrote The Beatles songs? ‘I wouldn’t want this for anybody’s daughter’: Will #MeToo kill off the rock ‘n roll groupie? How would the brain process alien music? The major labels’ revenues grew by $1 billion in 2017. But who had the biggest year? Ask an indie-rock veteran: How important are drugs to a music scene? Inclusion in the recording studio? With 70 million subscribers and a risky IPO strategy, is Spotify too big to fail? SZA almost quit music. Now she’s a Grammys contender.